Selected Villas for rent near Samui Bungy Jump (Koh Samui) - Contact us now! 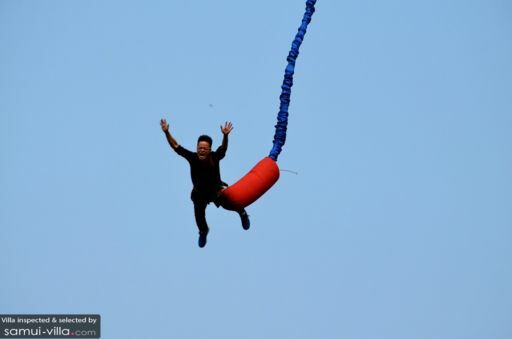 Samui Bungy Jump is a 50 meter jump with spectacular views of the tropical scenery of Chaweng. You do not have to be very sportif to do the big jump but you will need lots of courage. If you are looking to boost your adrenaline level it is a must-do!